Award winning American rapper, singer, entrepreneur, investor and actor Curtis James Jackson III A.K.A. 50 Cent filed for chapter 11 bankruptcy. 50 Cent noted that he filed for bankruptcy as a means of reorganizing his finances. Chapter 11 is a repayment and restructuring of debt. If a person meets the income requirement to file for chapter 11 bankruptcy, like Curtis Jackson, they manage the debt repayment amounts so that they can eventually pay off their debt without liquidating their assets. A person/corporation may have a total of $336,900 in unsecured debt and or over $1,010,650 in secured debt to qualify for chapter 11 bankruptcy. Often bankruptcy is thought to be a negative thing or something a person files for when they are no longer solvent, but this is not the case. In cases like 50 Cent’s, people often file bankruptcy to organize repayment of their debt. Curtis James Jackson is a businessman and a successful one at that. His situation shows people that even successful people need help restructuring their repayments to creditors. It is necessary to claim bankruptcy if a person’s debt cannot be paid in the way the collector demands. 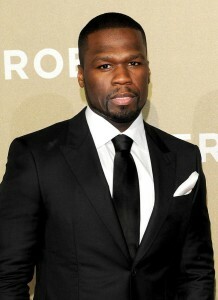 In 50 Cent’s case, his net worth is far over $5 million but he is not in a position to just hand over that much money. Sometimes claiming bankruptcy can mean setting up a payment plan for the debt rather than liquidating it all together. Furthermore, Curtis Jackson serves as a reminder to all people that no one is exempt from insurmountable debt and it is not shameful to ask for help when it comes in the form of bankruptcy. Even huge businesses claim bankruptcy. Bankruptcy is not only meant for those with an income that cannot cover their debt but rather for all people whose debt needs to be managed.